Why I Don't Believe in Most "20 Things to Do Before 30s" Articles? Almost every day, I see listicles (articles with lists) about the “20 things you need to do before 30”, or “50 books every entrepreneur should read” or “15 things you don’t need to miss in your 20s”. I’m sure you’ve seen and read one of them too. These lists are everywhere. They tell people that if you do this and that, you will become successful. or if you follow this advice, you will be rich. The contrary is when you don’t do this, you will miss half of your life, or if you don’t do this, you won’t achieve what you desire in life. I read some of these lists. I checked and see what other authors’ views are. But I don’t do them. Here are my personal reasons. I don’t ask you to buy it. Read mine, ponder it yourself and make up your own mind. Because different people live their lives differently, it’s almost impossible to happen that what I do is 100% exactly similar to what another person does. I work, another person doesn’t. I lead, others don’t. I don’t eat much, some do. Different location, different context, different age, and different set of goals. In other words, what I do is unique in terms of context, timing, age, and location. The same goes for my checklists. I do believe that our checklists should be unique, not because we just want to make it different from what other people have. But it is unique because it is based on who we are, why we do things and what we currently have. When you have determined your identity (your who), you can identify your purpose and meaning (your why), and then look at your current resources, abilities, gifts, and skills (your what). 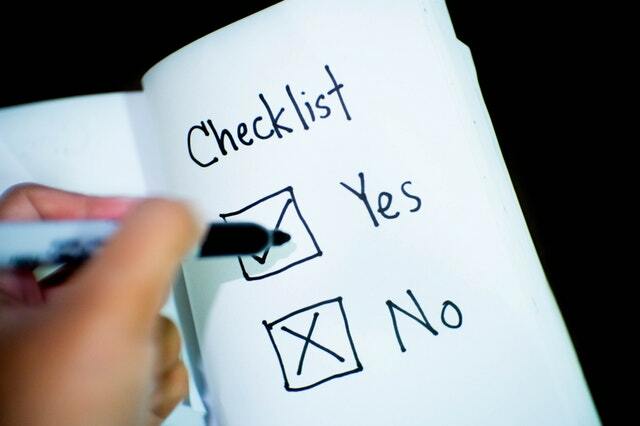 From that who, why and what, you create a checklist of your goals you want to achieve. Therefore, my goals (and checklists) are uniquely different from the authors who wrote, “50 Things You Should Do Before 30s”. One of my goals perhaps included in one of their lists, but not all. And even if I got an exact similar list, the timing and season of achieving them are different. 30 is now a good number these days. Millennials shout 30! When people say, “You need to reach and do this before 30 or 40s“, it’s like a motivational pump pushing everyone to reach their dreams quickly. I do believe everyone can do great things, but not everyone will. And if everyone will, not everyone will be able to have them all because of seasons and timing. The law of sowing and reaping simply says that, “If you sow, you will reap.” If I may add, if you don’t sow, you will not reap. If you have not planted seeds in your 20s, you will not be able to reap one, two or any of the items in articles, “20 or 30 things you need to have”. Even if you have planted the right kind of crops, you have to wait for your season of harvest. Same is true with your current list of goals. You sow good seeds, and reap a great harvest if it’s in the season of harvest. You don’t force harvest but you can force yourself to plant seeds. When your decision is solely based on other people’s opinions, you may be setting up yourself for failures. When you read hype articles, unconsciously, you are setting expectations on yourself to do this and that, to achieve this and that and to think this and that — copying what other people have included in their lists. If you haven’t pondered what you read well (not applied your critical thinking skill) and you neglect your own virtues and values, you are following a list of other peoples’ goals without including YOU in the list.